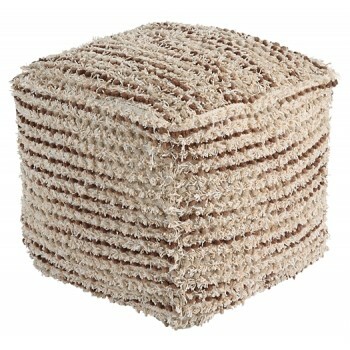 Chic and shaggy, this pouf tantalizes with cozy comfort. High-low texture feels every bit as good as it looks. Shades of brown and cream are nice and easy on the eyes.